If you follow me on Twitter or Instagram you'l know I recently went of holiday to Costa Blanca, Spain. 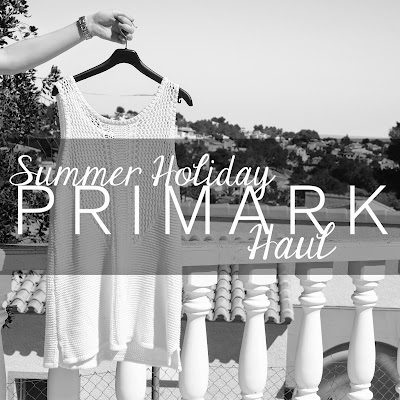 An essential for every Holiday is a New Primark Shopping Spree! So I thought I'd share my New Primark Haul with you all! I'm a sucker for anything fringed or with tassels. This Neon Yellow Crochet Crop Top is the perfect summer piece to brighten any outfit but stay on trend with crochet being huge this summer. 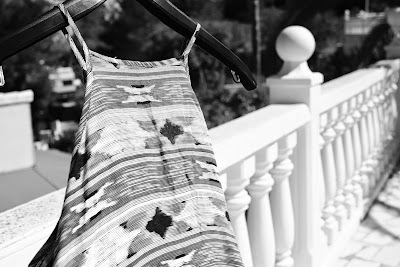 With Jeans, leggings, over a bodycon dress with fashionable layering or over a bikini as the perfect beach coverup. 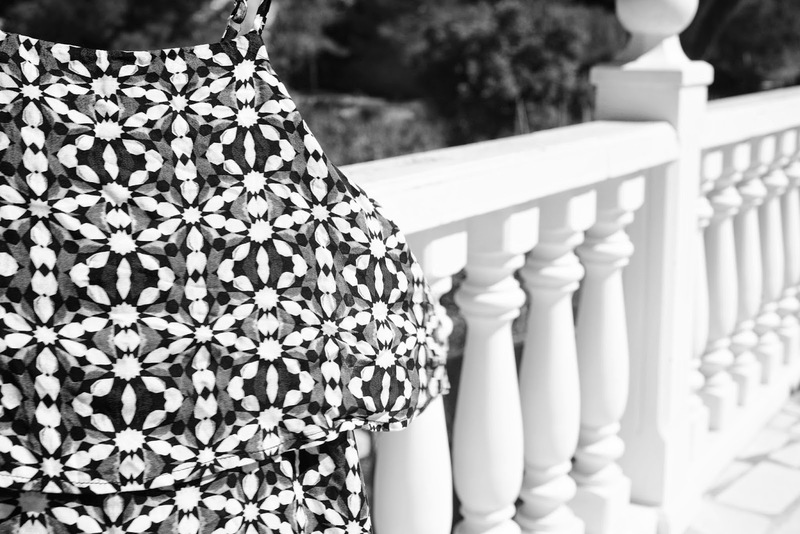 Swing dresses are the perfect holiday essential. Easy to pop on over a bikini or for a nip to the beach or town, simple to dress up for an evening with a belt, wedges and a statement necklace. 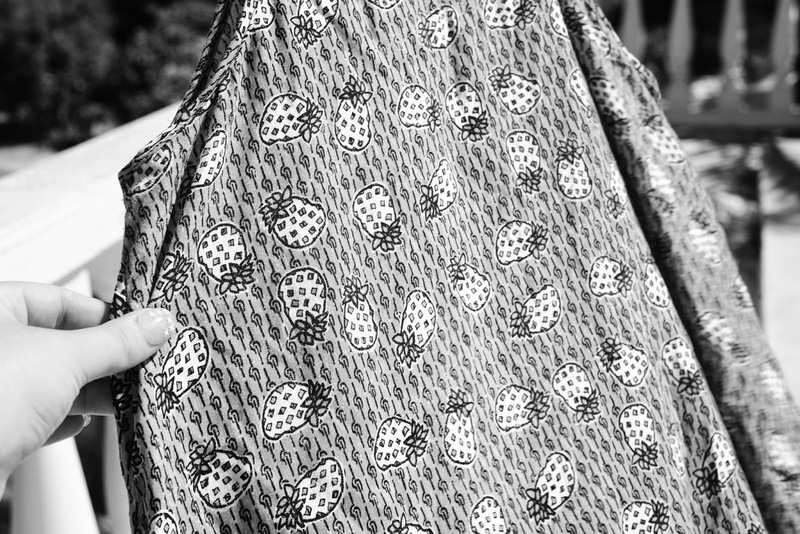 What I love about Primark isn't just the affordable price, it's the range of these adorable Spaghetti Strap Swing Dresses is the variety of prints, perfect for summer when you want to retire your wardrobe of All-Black-Everything for the warmer months and throw on a Pink Dress covered in Pineapples! 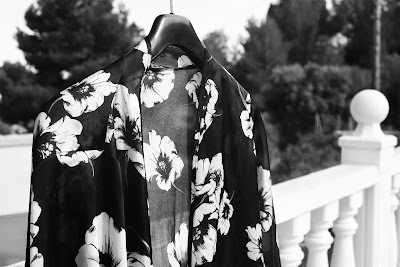 In a hot country it's always difficult to find the perfect jacket style for the evening thats not too heavy or weighted when you crave something lightweight to throw over your shoulders in the beach breeze, so a Kimono is just ideal for that! This particular one is Last Season, however Primark have many Kimono's in this summer season too even with fringed options also! 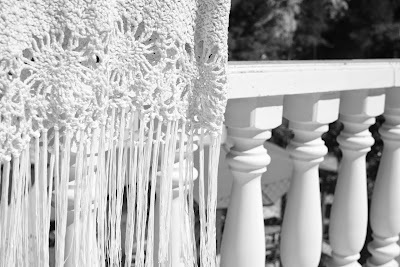 I love anything crochet or knitted, although they're usually quite expensive an only available in Topshop's Boutique, highly priced in Zara or Designer. So when I instantly grabbed this stunning Knitted Dress in Primark recently baffled by the quality and price, it was love! 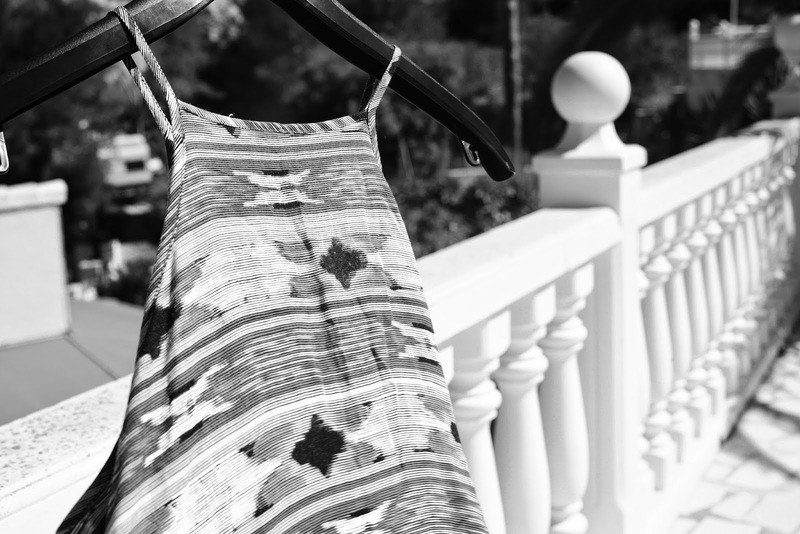 Another ideal beach or pool coverup thrown over your bikini or dressed up for an evening over a longline cami it's just the perfect piece with so many versatile ways to wear it. 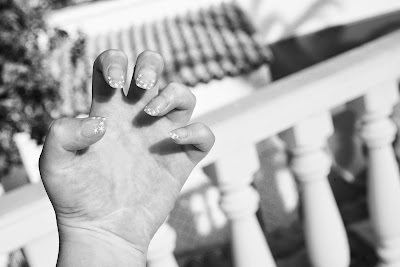 As you'll all now so well by now, I live for Primark's False Nails. I've been wearing Primark's Nails for nearly 2 Years now and they really are the best on the market, not just for the price but for their constantly updated collection of Nails in every colour, pattern and style. I chose to wear these cute Daisy Nails for my week away with a clear fresh base with cute daisies as a french tip. They last for a week but I do recommend buying brush-on glue. As the Primark Glue is quite hard to direct correctly without ruining all your clothes. I hope you enjoyed this Primark Haul and if you pop in store soon I'm sure you'll find them for yourselves. I recently wrote a 12 Page Chapter for The Bloggers Love Book which is very Limited Edition and available to purchase here from unit 4th June. So grab you copy quick! 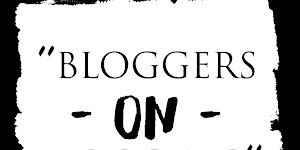 The Bloggers Love Book is written by Bloggers Love owner Danielle Antonio as well as Chapters written by UK Bloggers and YouTubers covering experience and advice on Blogging/Youtube, building a business from scratch, fashion & beauty tips, social media & blog chats, dealing with anxiety & other personal issues, confidence, positivity, recipes and bits and pieces to inspire and motivate you. 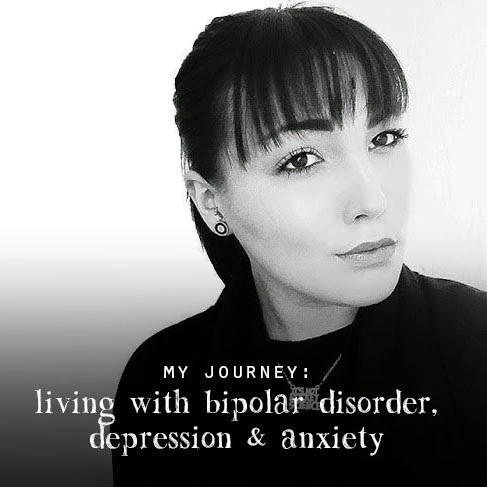 I've been Blogger for just over a year now and It was something for me that was a very spontaneous decision and something I really had no idea where to start. 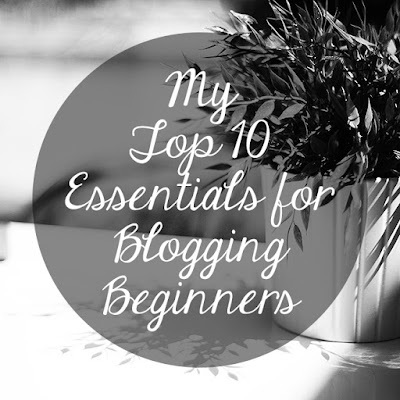 As I was in the same position a year ago, I thought I'd share with you my Top 10 Essentials of Blogging Beginners, to help all of you out there who want to start Blogging and want a helping hand of where to start and what essentials you need and where the hell to start! Possibly the thing I found hardest about starting a Blog. If you've been reading Styled by Charlie from the start you'll know it wasn't originally called Styled by Charlie it was called Pallettt.blogspot.com (my Surname), as I initially didn't know what I was going to Blog about or whether I was going to stick to it. After I decided on a Fashion theme the name Styled by Charlie popped into my head one day and it stuck. I liked that it was perfect for Fashion but if I ever want to branch out into other subject areas - exactly like I have done - the Blog name still works! I found this step quite overwhelming as I didn't know how to use anything but Tumblr in the way of blog platforms but knew Tumblr wasn't the best platform to start the kind of blog I had in mind. I went with Blogger. Mainly because I'd heard more people using Blogger than I had Wordpress or any others. I found it so frustrating to get the hang of initially as I had no idea what I was doing. But with the help of Google and YouTube I quickly found my way around and I love it now. I'm still learning and finding different ways to do new things on Blogger but I think it's the perfect platform for StyledbyCharlie.com. I think the main thing people always worry about when starting a Blog is that 'Will anyone actually read it?'. What I think is important for your Blog and your sanity when your blog first goes live is having a niche. It's important for your blog so it stands out and is unique, but important for you so you feel and know you're doing something different in the big bloggersphere world. 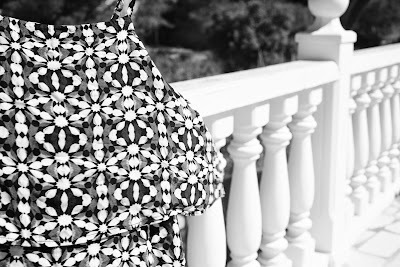 My particular niche is my Black and White Theme across all my feeds on my Blog, Instagram, YouTube, Pinterest & Twitter. As a part time Graphic Designer this is one of my favourite things to do, but it's also a hobby of mine so I get bored of logos and designs really quickly and am always getting addicted to new fonts, always thinking of new ideas. 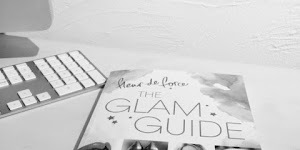 However with a Blog you need to try and find a Blog Design & Logo that's fluid, memorable and easy to use across all platforms and social media but also unique, relatable to you and true to your blog. This is possibly my main Blogging Top Tip! Social Media is FREE, so take complete advantage. It's part of everyones daily life now. We read Twitter & Instagram not Newspapers anymore, so make sure you're involved in it. 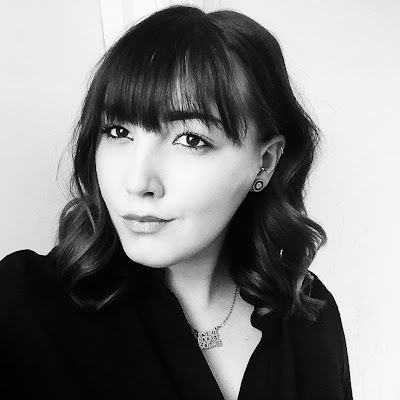 Theres so many Social Media Platforms to be a part of; Twitter, Facebook, Instagram, Snapchat (Add me: CharliePallett), LinkedIn, Pinterest, Tumblr just to name a few so make sure you and your Blog have a Profile in as many platforms as possible so you can find your readers and your readers can find you! If you don't promote you Blog or Posts how is anyone going to now it's there? How will I know that you've written a new post that went live an hour ago if you're not telling me about it? The best thing about social media is that it's completely free, remember it's the only form of free advertising out there so make sure you share your posts with your following and get #hash tagging! It's easy to get carried away with what your blog looks like and forget about writing regular posts. But what I found the hardest was figuring out is if readers care more about the pictures on my blog or the content? I'd seen so many blogs that had pictures and pictures and pictures with only a paragraph of writing. Something I try to do is find the perfect balance between the two as I've found a new hobby for writing since I starting Blogging and we have Instagram for all thing visual so I do think it's important to have that perfect balance between content and photographs. 1 Paragraph for every Photograph. I do think photos are extremely important for blogs and it's great to write descriptive text. However things are so easier to visualise with a photograph and I also find things easier to read if they include in pictures also. As a part time Photographer, taking photos is also a hobby of mine as well as a part time career so I do love taking photographs for my Blog. 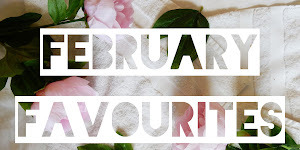 I never used to mix my photography career with my blogging however recently after Blogging for a year I realised it's something I'm definitely going to stick at for many years to come so I wanted to give my blog a step up. So I started with a new look, new domain and new logo but I also thought it was the perfect timing to introduce new, and better photography for StyledbyCharlie.com. I now use my Nikon D800 with my Nikkor 50mm Lens to take all my blog photographs. This camera is what I use for my Photography Jobs and will be out of a lot of your budgets but that doesn't mean you need one of the same grade. The best camera to have for taking the best blog pictures is a DSLR which you can pick up for much more affordable prices that a few years ago. I'd recommend a 50mm Lens for Blog Photos like the ones I'm currently taking and my Nikkor 50mm is my personal favourite which I bought of eBay second hand for a great price! I'd also recommend having a smaller camera or Mobile Phone with a decent camera for pictures on the go for those perfect Instagram opportunities. I like to take my Blog photos in natural lighting outdoors for simply to reason it makes me feel like I'm photographing as a hobby and not on a job in the studio surrounded by all my lighting. It also gives great photographing conditions as well as makes lovely natural photographs outside in the garden etc with stunning backgrounds. 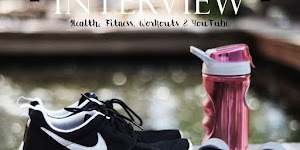 I find it's great to check out other peoples blogs, stalk Instagram and Pinterest to get inspiration for New Blog pictures and photography ideas. It's so hard to get your head into the Zone to Blog when you're first starting out as it's not natural or in your normal routine. My favourite ways to get in the Zone to Blog is to start with the Photographs. Getting creative always kickstarts my happy mood and once I've visioned what I want my photos to look I start getting creative in the garden with compositions. Onces I've taken the photographs I upload them onto my iMac and get editing in Photoshop and upload onto my Post. Once the photos are layed out in my blog I pop a catchy kids film on something like Frozen, Tangled or The Lizzie McGuire Movie - or something else as equally cheesy but appealing - and light my favourite candle. Which is usually The White Company's Pomegranate or Seychelles, Jo Malone Lime, Basil & Mandarin, Oliver Bonas' Ginger & Lime or Elderflower & Lime or my Soft Blanket Yankee Candle. I then find I'm in the ideal Blogging Zone and find having the pictures already inserted easy to related to and help the flow of writing. Be YOU. If you're thinking something, write it! Don't hold back. 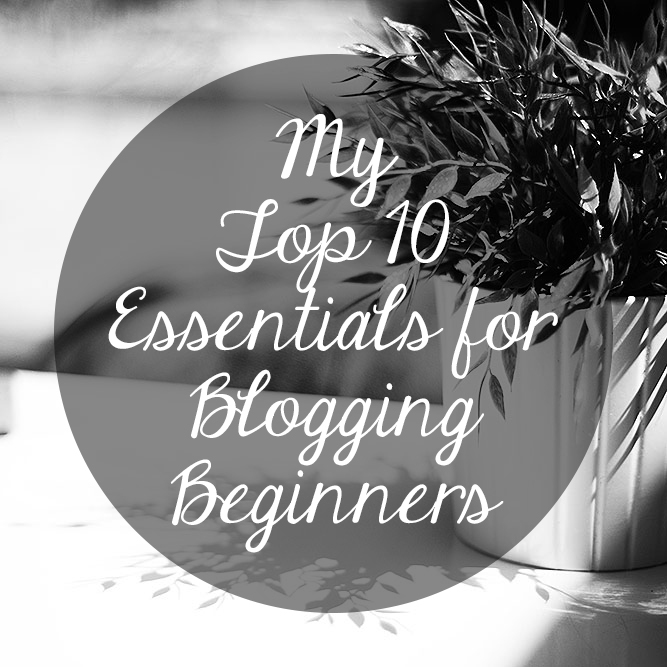 Don't be afraid to talk to other Bloggers, ask advice, ask your readers even. Don't be afraid to contact brands. Ask to review their products or just simply make yourselves know to them and give out your details. You're doing to PR Companies job for them! I hope these tips have be helpful and giving you inspiration for your blog or maybe just a helping hand to something you'd not already thought of. If you have any other questions, please Comment bellow as I'd be more than happy to answer them! 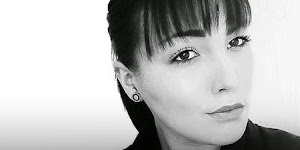 So Join the #SBCBloggerChat, Follow #StyledbyCharlie@pallettBLOGGER on Twitter. I visit London on a very regular basis, however I've never really experience the sites and tourist attractions. Recently my Best Friend of 17 Years turned 20, and what better way to spend your 20th than a Weekend Away to London planned by Me, experiencing #AllThingsLondon. 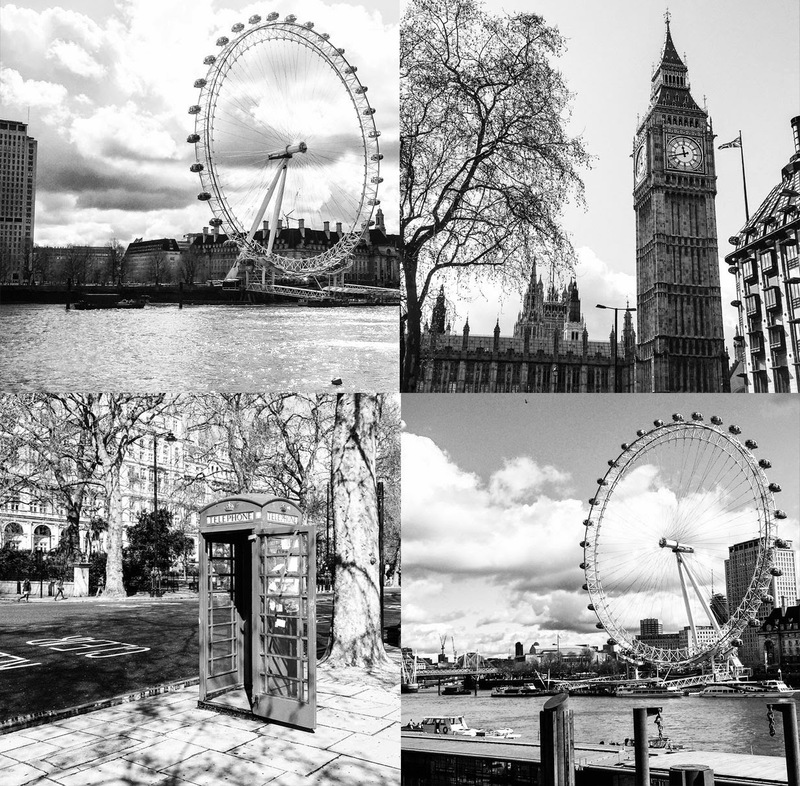 So I thought I'd share my favourite things to do when in London with you so whether you're travelling to London for the first time and want to know Things to Do in London and what to cram into a weekend in the Capital City or whether you're a regular traveller like myself and what to see what else you can visit you haven't already! 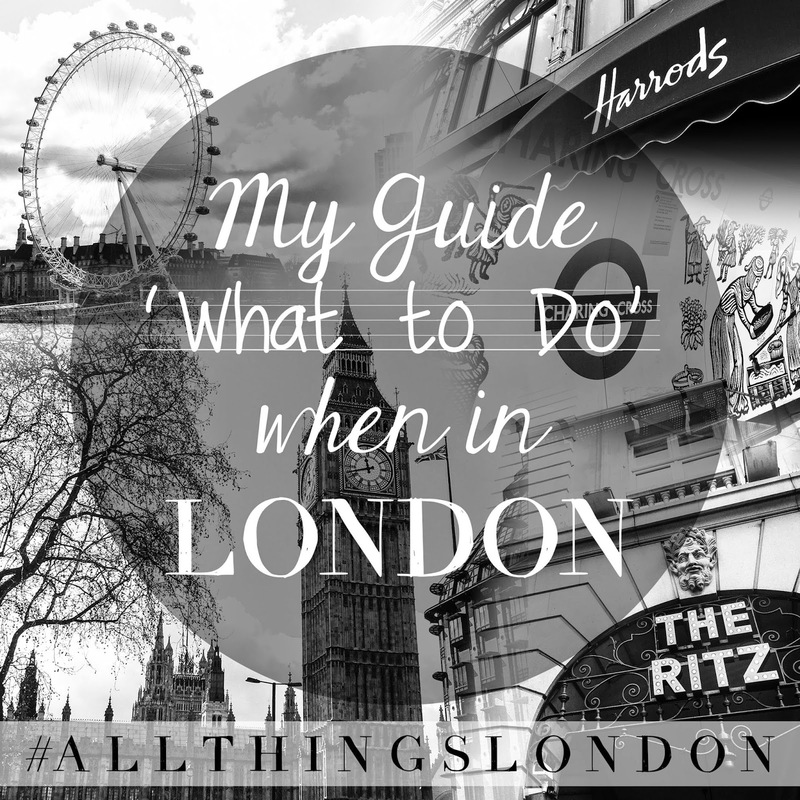 My Guide: What to do when in London? I found this Hotel while searching online to find the perfect hotel for our stay in the perfect location, at the perfect price. 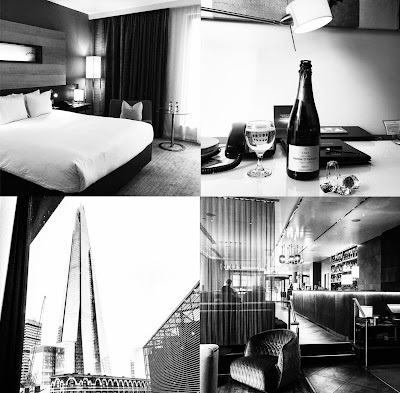 The Hilton Tower Bridge is a stunning hotel in a stunning location with views of Tower Bridge and The Shard. 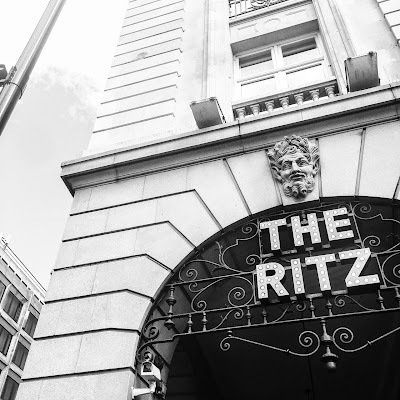 Located a two minute walk from Liverpool St Tube Station surrounded by attractions as well as food and cafés from M&S Food, LEON, Cafe Nero, EAT and many more a stones throw away from the hotel. My favourite part of the hotel was the decor as well as the location. The Lobby is stunning and so stylish! I was most impressed with the service too. As we arrived at the hotel around 10am, and on booking was told I couldn't physically get into my room until 3pm, which is quite standard. However, upon arrival at 10am was told my room was ready and I could get settled in straight away, theres nothing better than getting into your hotel room early, let alone in the early morning! We booked x2 Superior Rooms which were side-by-side one another with an extremely spacious bathroom and wardrobe, large TV and dresser area as well as a table and seating, with a huge King Size Bed, stylish decor but most surprising was our amazingly breathtaking View of The Shard straight from our window. We really couldn't have asked for a better Hotel, in a stunning Location at an amazing Price! One of my favourite things to do in London whenever I'm free is to get the Tube to Waterloo, Embankment or Westminster and do the walk of The Thames, Westminster and Embankment past one of the prettiest FREE views London has to offer. What I love about the walk is whichever station you get off at whichever direction you walk The Thames, you can come to either Westminster Bridge or Jubilee Bridge and walk the other direction too past The London Eye, Jubilee Gardens, Whitehall Gardens, Skyline View form the Bridges and of course The Houses of Parliament and Big Ben. I love to walk to Buckingham Palace from Westminster, I take Whitehall past Downing Street to Trafalgar Square and wall up The Mall along side St James' Park which on a sunny summers day is beautiful. Buckingham Palace always makes appreciating our country, our royals and our traditions. The Palace is such a treasure to our country and If you're visiting London for the for time it's definitely a must on the 'To Do List' when travelling the city. Green Park is in my Top 3 Places I Love in London. I always make a trip to Green Park if I can when in the City, it's my Central Park of London. Surrounded by streets of stunning architecture and amazing locations like The Ritz incased in a park of beauty just baffles me. I'll walk up The Mall to Buckingham Palace and through Green Park to the Tube to admire it. I love in the summer when Green Park is covered in summery Deck Chairs for your to rent and enjoy the scenery in style over lunch or a cool down. 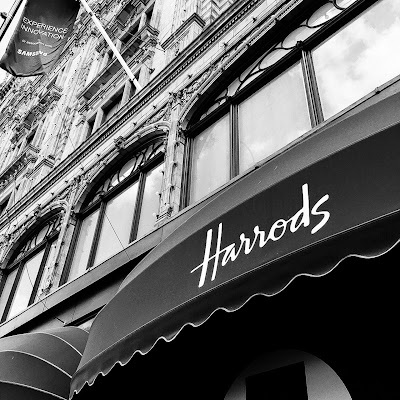 Harrods is one of London's biggest treasures, and somewhere you can really kill a lot of time by just browsing all the floors and sections getting lost spending imaginary money on anything and everything from Beauty and Fashion to Food and Pets! But if you've not got all day, the Food Halls on the Bottom Floor are a definite must! Oxford Street and Regent Street are the Shopping Streets of England. With designer and highstreet options and a department store at what feels like every turn, if you're on a shopping weekend in the capital Oxford & Regents Streets are a must! With Selfridges, 3 floor of Topshop, Hamleys Toy Store, the biggest Primark ever and with Carnaby Street just of Regent Street offering you the most adorable colourful street of stores as well as backing onto Liberty, is well worth a trip. If you're looking for a weekend of Shopping and don't fancy hitting the hustle and bustle of Oxford & Regent St I'd recommend taking the Central Line to Westfield White City (West to Shepard's Bush) or Westfield Stratford (East to Stratford) for a jaw dropping Mall experience. My personal favourite out of the two is Westfield White City personally because I love easy to shop layout, the variety of restaurants and The Designer Village. Having been to London so many times it's quite random I've never been on The London Eye. So this time with my best friend and boyfriend it was the perfect time and perfect way to lose my London Eye Virginity! We got fast track immediate entry so we didn't have to cue and didn't wait around for any time and we guided straight to our little pod which was amazing. I'm a little hesitant with heights but The London Eye makes you feel so safe and the height issue really wasn't a problem for me, it also helps that the Eye moves so slowly so you don't feel like you climbing in height at all theres also so much distraction to the height issue with the breathtaking views of London. 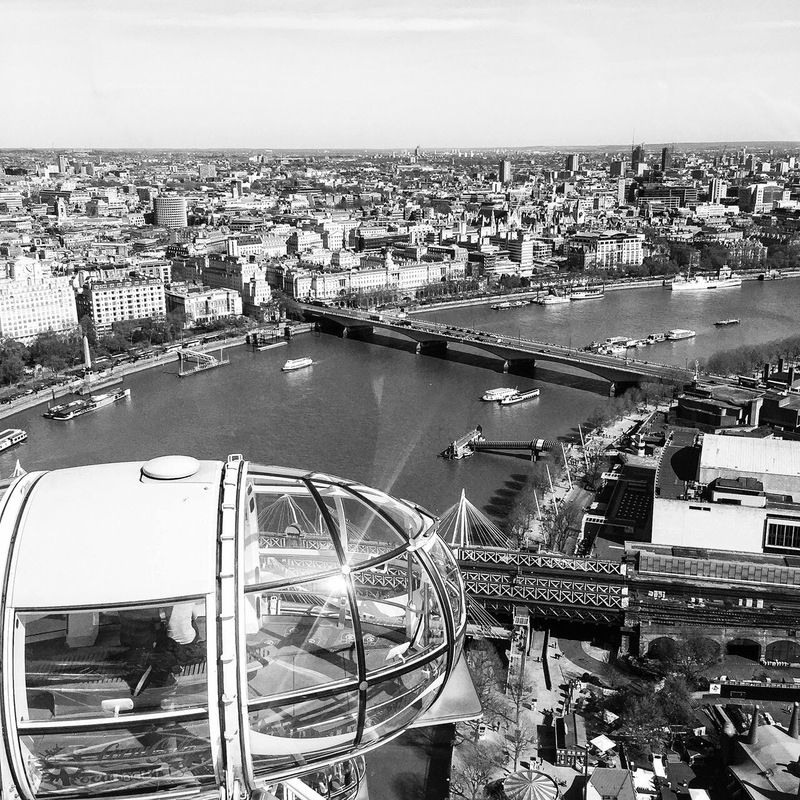 Having now enjoyed The London Eye experience I see what all the fuss is about, it was an incredible experience and the views were stunning, I'd love to do it again. I'd heard of The Ice Bar and stalked photos of Facebook friends attending for years but never been myself. 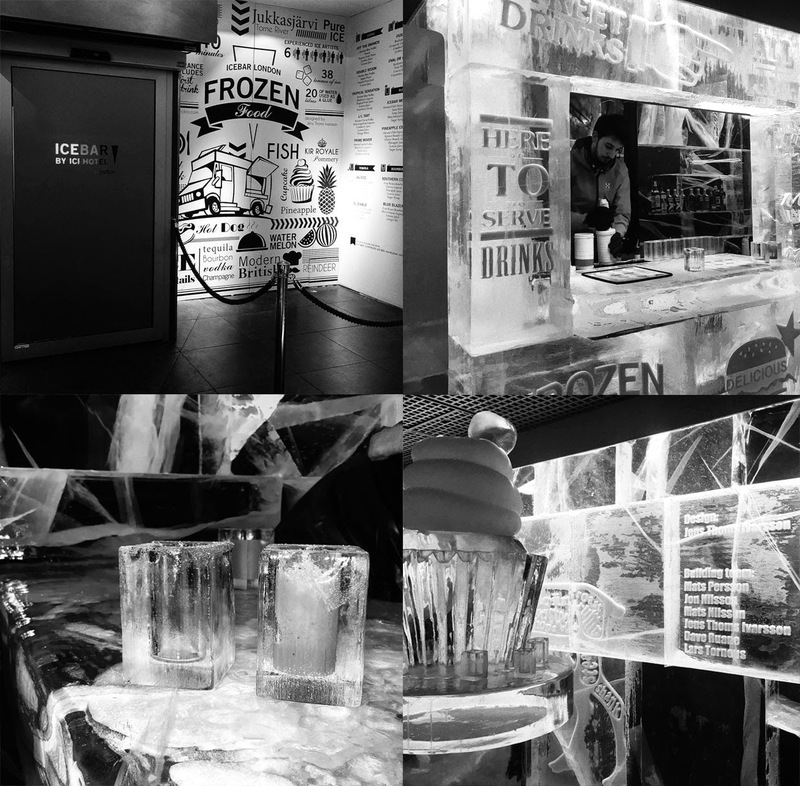 So on this Birthday Weekend Trip to London I thought that this would be the ideal experience to go to the oh-so talked about Ice Bar London. It really was the most incredible experience. Situated just off Regent Street in a little courtyard of Bar and Restaurants of Heddon Street with The Ice Bar London's Warm Bar in the entrance where you can enjoy Cocktail after Cocktail in or outside. For The Ice Bar itself you sign in, get given the hilarious eskimo thermal poncho (equipped with hood and gloves!) then into a Stars in their Eyes like door and like magic arrive in The Ice Bar. Yes, it's cold.. Very cold at -5°C, but so awesome! The Ice Bar is from £13pp which includes a 40 Minutes Trip to The Ice Bar as well as your Thermal Cape & Gloves, Personal Cocktail Glass made of Ice and 1 FREE Cocktail from the Ice Cocktail Bar. 40 Minutes doesn't sound very long although if you're anything like my boyfriend and feel the cold 20 Minutes would've been enough for the most amazing and incredibly random Ice Bar experience. When visiting London, Covent Garden is one of my favourite places. Perfect for shopping and food and the best for people watching situated on a square of cobbles with a Shopping and Food Plaza in the middle full of unique shops and restaurants a delightful place in the summer months. Covent Garden is full of unique shops and my new favourite place in Covent Garden is The Blo Blow Dry Bar! Pop in for Breakfast Club and enjoy a Blow Dry over Breakfast in The Blo Blow Dry Bar's gorgeous salon without feeling like you're cheating on your hairdresser. 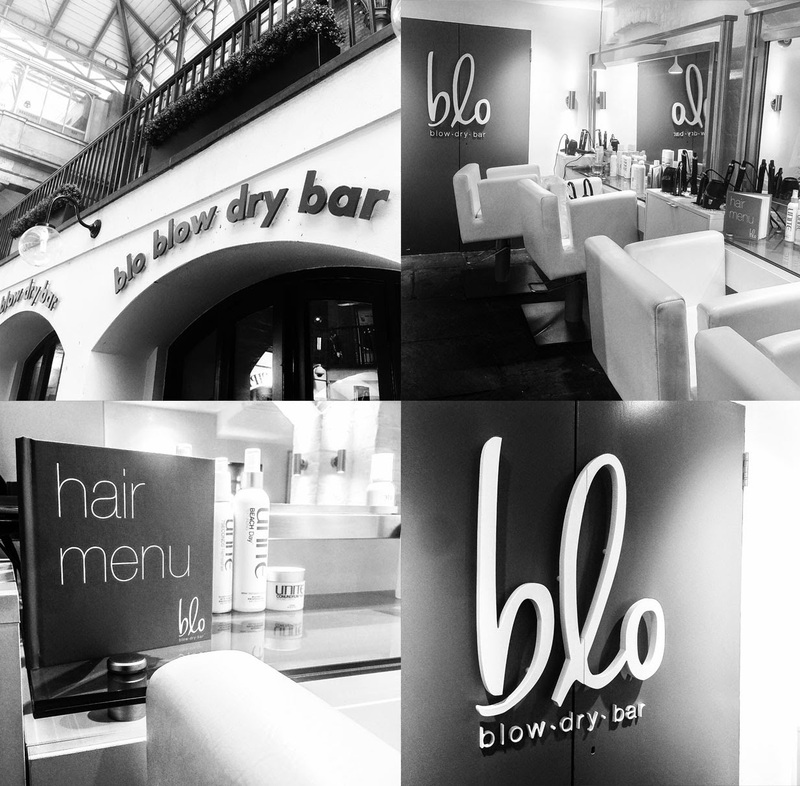 Experience their Dry Styling if you've not got time for a complete Wash and Dry and choose a style of your own or from their amazing Blo Dry Menu. Such a unique idea, and great place to pop in after all the city hustle and bustle and give you and your hair the perfect pamper treat at The Blo Dry Bar. My Beach Wave Dry Style at Blo Blow Dry Bar, Covent Garden. I've recently fallen in love with Nottinghill. The stunning streets, the gorgeous houses in every colour imaginable, the amazing roads feel like you're on holiday, the unique shops are just so cool and refreshing! Not forgetting the amazing and very famous Portobello Road which is a very busy market with Market Stalls selling the weird and the wonderful is such a beautiful area of London to visit and just walk, and walk the streets of Nottinghill for hours. When in Westfield White City if you're after a Happy Hour Cocktail in a quirky Bar pop into The Meat Co and choose from their amazing Cocktail Menu with a fun and quirky atmosphere and decor. When in Westfield Stratford if you're with your girly friends I wouldn't recommend this step. However if you're with a football loving male friend and want to go for a bite to eat or a drink The Football Café is a great stop for any sports lover. When in London we always love to go to Prezzo Charring Cross in Trafalgar Square. Trafalgar Square at night isn't only easy to get to and central it's all lit up and stunning. Prezzo is a great place to go for Lunch or Dinner with something for everyone, especially the Pizzas. I'm a massive Frozen Yogurt addict. Especially when walking around London all day it's the perfect refreshing thing to grab on the go. I usually go to Snog in Westfield White City where you can choose from a handful of yogurt flavours and so, so many yogurt toppings. If you're around Oxford Street and don't mind walking a couple of streets back away from the busy, crammed streets you'll find Honest Burgers with their great range of Burger options at great prices with the most amazing relishes and fries! Before heading home to catch our train at the end of our amazing weekend away in the Oxford Street area we popped into Strada Italian just next to Honest Burger for Dinner indulging in some lush Pizza's! 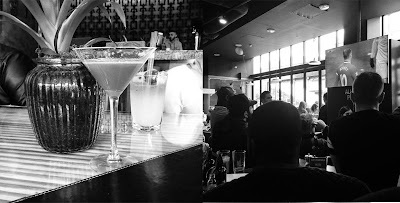 When we stay over in London and usually after our trip to Prezzo we pop to Henry's Café Bar in Covent Garden for too many Cocktails and Grey Goose, with the option of a little boogie if you want too! Although I never have, you can always get a bite to eat in Henry's as well as enjoy their amazing drinks and cocktails with 2 Bars, upstairs or downstairs with plenty of seating for all is a great place to begin the long evening of partying. I hope you enjoyed my Guide to London and it's introduced you to some New Things to Do and New Places to Eat in London when we visit. It's a beautiful City and I'm very proud to have a fast train link to it from The Midlands, however If you've never been it's well worth the visit. I'm addicted to scents, fragrance and perfumes. Anything that gives off a delightful smell I'm completely hooked. Candle, Spray and Perfume Addict. I've recently become an The Library of Fragrance fanatic. Yes, another Fragrance Brand to obsess over. I've recently became the proud and very precious owner of three amazing scents from The Library of Fragrance. I love Patchouli, Pomegranate and Peony as scents and I'm a fan of many perfumes that feature all three scents. The Library of Fragrance offer over 50 Fragrances to choose from with scents from Orange Blossom to Play-Doh, and all the weird and wonderful in between! I chose Patchouli, Pomegranate and Peony because as a self confessed perfume addict I know those scents work in absolute harmony with one another and smell incredibly divine. The Library of Fragrance products are able to be worn alone, however are Single Note Fragrances and have special characteristics that enable them to be mixed and layered with one another. Therefore Pomegrante's sweetness and Peony's floral notes with Patchouli's earthy tones make the most perfect combination of scents into the most unique and delightful perfume. I recently nearly spent near of £100 on a Jo Malone Fragrance called Pomegranate Noir featuring a very fresh Pomegranate Scent. Althought I love Jo Malone, £100 on a Perfume is steep even for Fragrances. I'm glad I didn't because The Library of Fragrance Scents are so similar to Jo Malone Fragrances, perfect if you're looking for a Jo Malone Dupe Fragrance as they're also only £15 each and layerable, which means you can create your own unique perfume. Not only to The Library of Fragrance offer an affordable options to so many scent choices but they also offer incredibly unique scents from Pizza, Play-Doh, Waffles, Stables, Baby Powder, Chocolate Chip Cookie, Dirt, Marshmallow... and many, many more which make the ideal gift or stocking filler. I love my Patchouli, Pomegranate and Peony combination of The Library of Fragrance Scents and get so many comliments on what perfume I'm wearing. The Library of Fragrance has 28 Scents available in Boots where their Any 2 for £25 Promotion is constantly ongoing, and the rest of the scents are available at thelibraryoffragrance.com. So pop into your local Boots Store and fall in love just like I have. As summer is just around the corner and as a Gin Enthusiast, I cannot wait to get my hands on their Gin & Tonic Scent. I cannot think of anything more perfect to complete my The Library of Fragrance Colleciton. Join the addiction, and please inform me of your favourites!